The C.A.T manager column in the overview screen provides up-to-date information about the of the status of the app running on the C.A.T operator’s mobile device. If the user’s app is running on the end user’s mobile device, it sends a status report to the cloud server every 30 minutes. NOTE: C.A.T Manager Online mobile app send a status update every 30 minutes, if the mobile device has a working data connection. The C.A.T Manager timer is updated every time the cloud system communicates with the mobile device. 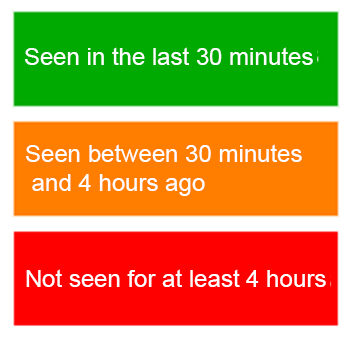 Warning messages are only updated by a status update resulting in a possible temporary discrepancy between the warning message and the timer status.